The unsolved antagonisms of reality return in artworks as immanent problems of form. This, not the insertion of objective elements, defines the relation of art to society. Though that is not all, by far, that there was to politics in art in those years; some day it will have to be told how "anti-Stalinism," which started out more or less as "Trotskyism," turned into art for art's sake, and thereby cleared the way, heroically, for what was to come. Clement Greenberg, "The Late Thirties in New York"
The political battles of 1950s art were fought in the camp of abstract painting. The choice to use geometric shapes, stains, or drops of paint on a canvas carried the weight of a political statement. Yet the meanings attached to the visual politics of abstract art varied widely within different political contexts. Art critics occupied a strategic position within a complex network of institutions that defined normative ways of seeing and mediated between the apparent universality of the visual and the diverse local dialects of cultural politics. Before artists of the 1960s attempted, as Joseph Kosuth once put it, to annex the function of the critic, and thus to make "the middleman unnecessary,"1 it was mainly the job of art criticism to verbalize the signification of the visual discourses of the plastic arts. Were it not for the decisive role of critics in providing an aesthetic, theoretical, and political frame for postwar painting, Abstract Expressionism could not possibly have been taken for a symbol of freedom and of the new American way of life, just as Art Informel would not have been identified as the painterly expression of the French resistance to the Nazi German occupation, and geometric abstraction might not have become the quasi-official aesthetic of Latin American developmentalism. Paintings and other visual artworks do not participate immediately in discourse; rather, they depend intrinsically on verbal mediation. As Naoki Sakai puts it, "Certain types of texts, such as gesture, music, and visual artifacts do not constitute 'firsthand' signification. Yet insofar as we are able to talk about them, they can be read and therefore grasped as significative. In this respect, they are texts or components of texts that can be verbalized even if not in a one-to-one correspondence. "2 Because the correspondence between visual and verbal is never simply univocal-one-to-one-visual texts can enter discourse in a plurality of guises; they are inherently open to discursive appropriation. "The relation of language to painting is an infinite relation," Foucault writes in The Order of Things. "It is not that words are imperfect, or that, when confronted by the visible, they prove insuperably inadequate. Neither can be reduced to the other's terms: it is in vain that we say what we see; what we see never resides in what we say. "3 The verbal translation of visual artworks cannot exhaust their signifying potential, which constantly exceeds verbalization. The political significance of art is not fixed in the materiality of practices and works; rather, it is contingent upon their discursive framing. Framing regulates the legibility of art, determining which characteristics are relevant-form, color, dimension, and so on-and which can be ignored in reading individual works and practices. The fact that postwar artistic discourse centered on form as the main carrier of meaning in abstract art, or that the "unsolved antagonisms of reality," as Adorno puts it, could "return in artworks as immanent problems of form,"4 depends on a specific mode of framing; that is, on a regime of legibility of artistic practices and works. This regime of legibility is what I call the politics of abstraction. Clement Greenberg remarked in relation to the North American art world that it was somehow "Trotskyism" that cleared the path from the political commitment of social realism to the art for art's sake of the postwar era. "Abstract art was the main issue among the painters I knew in the late thirties," Greenberg writes. "Radical politics was on many people's minds, but for these particular artists Social Realism was as dead as the American Scene. "5 Meanwhile, in Brazil, social realism dominated artistic discourse at least until the late 1940s; only after the Second World War did abstraction become an issue for most Brazilian artists and critics. 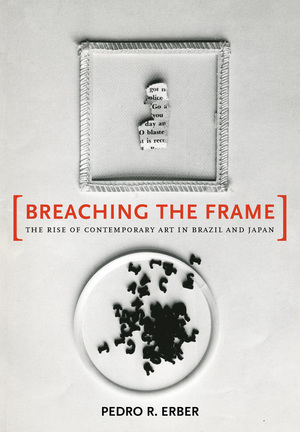 To tackle the discursive framing of abstract painting as political art in 1950s Brazil and the significance of Pedrosa's conceptualization of the political function of form, let us rewind a little and examine the situation of Brazilian art at the time of Pedrosa's return to Rio from New York in 1945. Not until the end of the Second World War did abstraction significantly penetrate artistic discourse in Brazil. Modernists of the 1920s generation famously proposed cannibalizing European modernity, creatively appropriating foreign ideas into a national cultural project. Oswald de Andrade's "Anthropophagite Manifesto" resorted to the indigenous ritual of eating the enemy's flesh as a metaphor for Brazil's violent intrusion onto the cultural map of global modernity through appropriation of Euro-American culture. Yet in terms of its visual production, the anthropophagic movement did not live up to such radical claims. As the art critic Paulo Sergio Duarte remarks, "Our modernism was rather shy and reticent"; even in Tarsila do Amaral's most outstanding canvases, "at no point does form devour the 'foreign. '"7 On the contrary, formal aspects of Cubist and post-Cubist painting were assimilated into an essentially figurative project, thus conferring a veneer of contemporaneity onto the dilemmas of a society still struggling to come to terms with its archaic social legacies. This figurative use of abstraction is cogently exemplified by Amaral's A negra (The black woman, 1923; plate 1), in which the geometric background functions not as abstraction but rather as a reference to-almost a citation of-modern European art, upon which protrudes the deformed body of the Brazilian mulatta as a living expression of the remnants of slavery and racial exploitation. Although it was not entirely absent as a technique, one can say that abstraction was not digested in its deeper aesthetic significance by the anthropophagic imagination; in any case, it failed to become a major issue for both artists and critics until the end of the Second World War and the fall of President Getúlio Vargas's dictatorship in 1945. When abstract art finally came to occupy a determinant position in the Brazilian artistic milieu, it encountered the most resistance among the proponents of socially engaged figurative art. Throughout the late 1940s and early 1950s, orthodox Marxist artists, art critics, and other leftist intellectuals constituted the staunchest opposition to the various trends of abstract art coming from Europe and the United States. What might appear to be just another quarrel between the ancients and the moderns signaled, in fact, deeper fractures in the local ideological landscape. For Marxist critics such as Ibiapaba Martins and Fernando Pedreira, the debates that culminated in 1951 with a fierce battle against the first São Paulo Biennial amounted to a conflict between the national project of a politically participatory art and an imported aesthetic fad that, lacking any reference to reality (local and otherwise), appeared as the pure image of alienation. Indeed, the question of alienation-in its political as well as its psychological sense-recurred consistently in debates concerning abstract art in 1950s Brazil. Andrea Giunta has argued that artists in postwar Buenos Aires were able to remain in solidarity with the Soviet Union while ignoring the dogmas of Socialist Realism.8 However, this was certainly not the case with some of the most influential artists and critics in Brazil, who defended Zhdanov's artistic doctrines not only against the new trends of abstract art coming from the developed capitalist world but also against any mode of expression that did not conform to the principles of Socialist Realism. "Breaching the Frame offers a courageous, cosmopolitan, and original reading of the events that preceded and constituted the period in which art, in the process of its globalization in the 1960s, gained strength through its appeal to the radicalism of the historical avant-garde. Pedro Erber effectively deconstructs the oppressive dichotomies implanted by art criticism and decenters the framing of postwar art production. This book is sure to occupy a privileged position in the scholarship on twentieth-century art and become our irreplaceable companion."